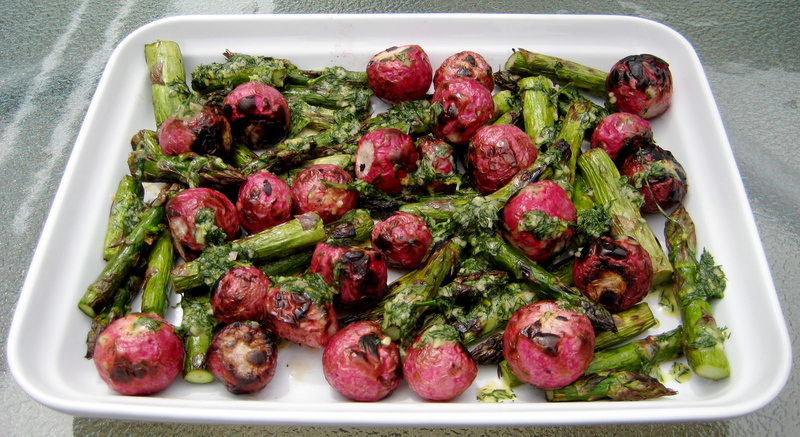 Simple and flavorful, roasting radishes gives them the trademark grilled exterior with a creamy, smooth interior. Preheat the grill to medium-high heat. Toss the radishes and asparagus with olive oil, salt and pepper. Put in a grill basket. Grill for about 10 minutes, stirring a few times, until cooked through and lightly charred. 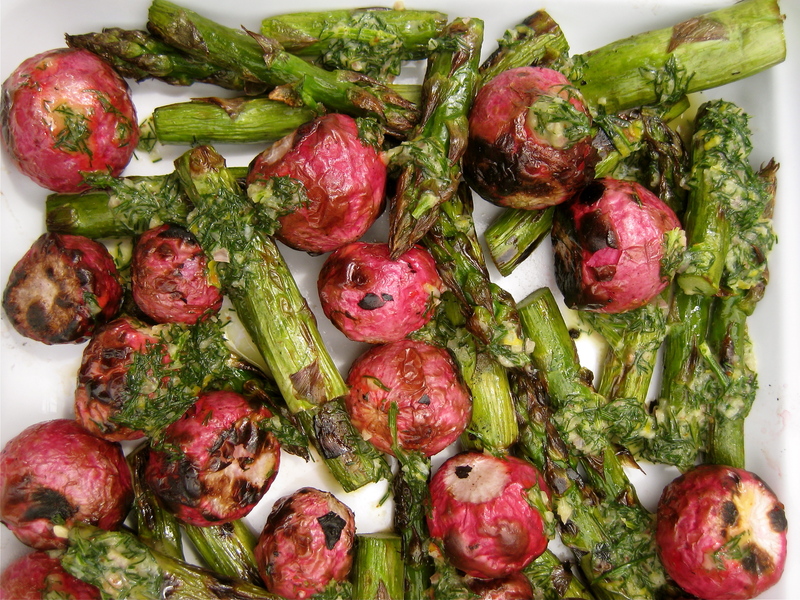 Remove the asparagus, and continue to cook until radishes are tender, about 5 to 8 more minutes. Toss with the vinaigrette, adding to taste. Put the dill, lemon juice, mustard, agave nectar, shallot, lemon zest, and a pinch of salt and pepper in a blender or food processor. Combine until smooth. Slowly add the olive oil while blender is running; process until combined. Season with additional salt and pepper to taste. Store leftovers in the refrigerator. Ok – I made it for supper and my hubby and I quite enjoyed it =) Apparently I can like radishes! Yes! So much more mellow and less WHAM! than when raw! Glad you tried it, Kim!